With the emergence of technology in the Senior Living industry, data storage and management has become a very important issue for all providers. HIPAA and HITECH regulations have made it very clear that protecting data, especially Protected Health Information, is of the utmost importance. 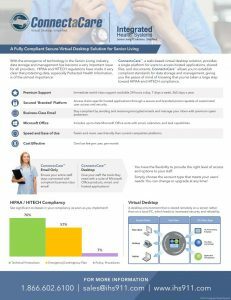 ConnectaCare™ , a web-based virtual desktop solution, provides a single platform for users to access hosted applications, shared files, and documents. 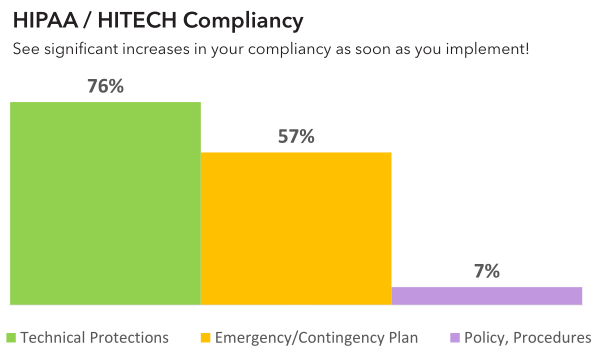 ConnectaCare™ allows you to establish compliant standards for data storage and management, giving you the peace of mind of knowing that you’ve taken a large step toward HIPAA and HITECH compliance. Protect your PHI and stay HIPAA compliant! Contact us to get started with ConnectaCare™ today! Contains Microsoft Office suite with collaborative email, calendars, etc.